variety as referenced by the slogan on their sign: "We Sell Anything"
I purchased an amazing Shortwave radio from them at one point when I was about 18. A National HRO-60. I wish I still had it, but it's an example of the variety they had. 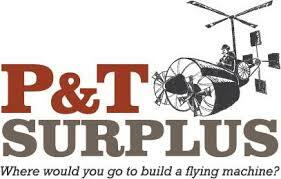 Sometime around that purchase, the business was purchased by the man who was running it, Tim Smythe and his son, Tim Smythe Jr. At that point it became P&T surplus. Tools, hardware, used computer parts, AC adapters, sheet metal, plastic panels, and more. So much of what they had fit many of my projects and needs. As I became a computer technician Tim Jr. began to buy truckloads of computers from businesses that were upgrading. He paid me to set them up for sale, and support them. 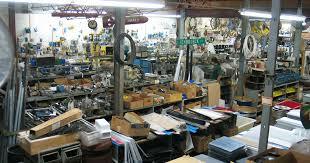 I've bought laptops recently from them, casters, coax cable, and my wife Jill even found fabric one day. On top of all of the purchases I have brought them old electronica and metal, usually for store credit. 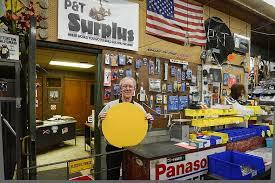 Tim and Tim have always been good to me, and I go there first for anything surplus-related. To any of my fellow gadgeteers, Ham Radio enthusiasts, computer technicians, and handymen, This place is the last of a kind. There once were other stores like P&T that populated the Canal Street area of Manhattan (many used to get a lot of their stock from P&D years before), but they are mostly gone. Plan a visit to Kingston. There's more to do there than this, but you will not regret adding P&T to your list of frequently visited places. If you are looking for more to do while up there, just ask me. While you're there, say hello to the Smythes and tell them that Neil sent you. You will not regret it!